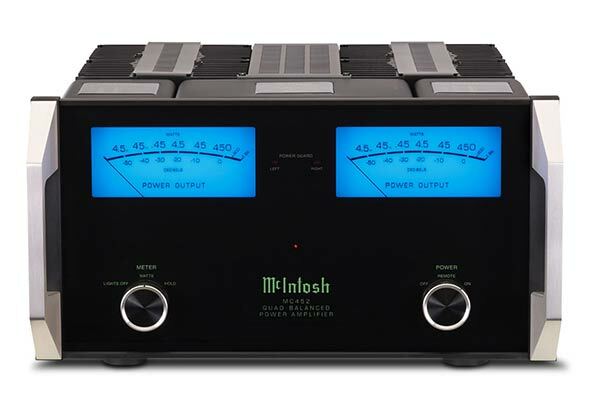 At 450 watts per channel, the MC452 is the most powerful McIntosh stereo amplifier and utilizes the latest advancements in circuit and cosmetic design. With the MC452, the latest circuit components are deployed in the classic McIntosh Quad Balanced design that cancels noise for impeccable audio performance. A collection of technologies that enhance performance and reliability while protecting the amplifier and loudspeakers. A waveform comparison circuit continuously monitors both input and output signals. Power Guard dynamically adjusts the input level to avoid clipping while preventing harsh sounding distortion. Fuse-less short-circuit protection circuit disengages the output stage before current exceeds safe operating level; resets automatically. 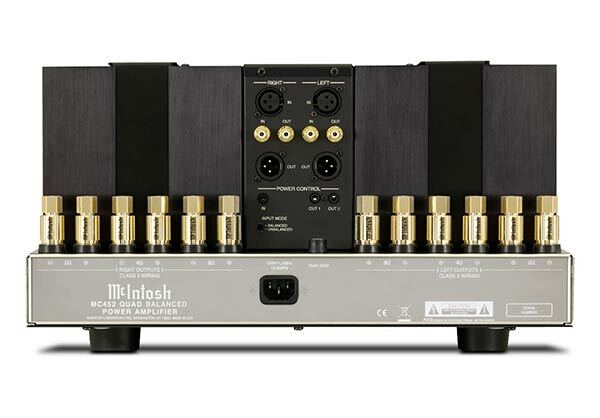 Unique McIntosh technology delivers the full rated amplifier output with the least possible distortion into loudspeaker impedances of 2, 4, or 8 Ohms; you get all the power you paid for and the freedom to choose any loudspeaker. Swift, accurate response reveals program peaks to make staying within the power limits of your loudspeakers is easy.